Whether you want to pay with your bank account or credit card, Titan Trade Moneybookers is the easiest way to make safe and fast deposits into your trading account. This innovative online payment structure enables you to send and receive payments without having to enter any sensitive details online. Trading hot assets like Google and oil? Taking up the best investment opportunities? With Titan Trade Moneybookers, you can move your funds exactly where you need it, wherever you are, whenever you need to. 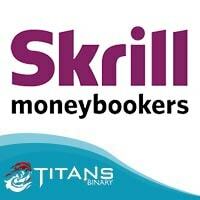 You can even send your profits back to your bank account, or cash it out from ATMs or with your Skrill Prepaid MasterCard. All you need is a valid e-mail address; it’s cheap, secure and best of all – instant. Always on the go? Fret not! You can load your Titan Trade account with credits even you’re on the move. Pay and get paid safely and efficiently with your uploaded funds, your bank account, credit or debit cards – straight from your mobile device! Whatever method you choose, with Titan Trade Moneybookers your financial details are always safe. Your card and bank details are never revealed, so you can trade with confidence and peace of mind. To deposit funds via Moneybookers, click here. One of the reasons why binary options traders use Moneybookers as their payment method is that it gives them the freedom to send and receive money, securely and at low cost, without sharing their personal financial details. We, at Titan Trade, are constantly searching for ways to evolve how you make and receive online payments, so they become even more convenient and easier. And because we give prime importance to your satisfaction, we are all passionate about our payment services and committed to making your trading experience the best. 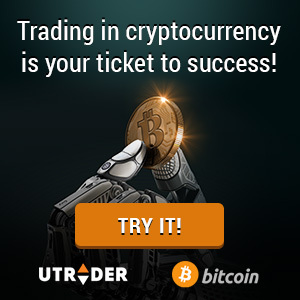 By being a trusted and innovative binary options broker, we develop your online trading world into a totally liberating place.